The world's first mini-satellites to venture into deep space - designed to monitor NASA's InSight Mars lander - have successfully oriented themselves towards the red planet, according to the US space agency. Over the last week, two CubeSats called MarCO-A and MarCO-B have been firing their propulsion systems to guide themselves toward Mars. This process, called a trajectory correction manoeuvre, allows a spacecraft to refine its path to Mars following launch. Both CubeSats successfully completed this manoeuvre, NASA said in a statement. The pair of CubeSats that make up the Mars Cube One (MarCO) mission were both launched on May 5, along with the InSight lander, which is headed toward a November 26 touchdown on the red planet. They were designed to trail InSight on the way to Mars, aiming to relay back data about InSight as it enters the planet's atmosphere and attempts to land. The MarCOs were never intended to collect any science data; instead, they are a test of miniaturised communication and navigation technology that can blaze a path for future CubeSats sent to other planets. Both MarCO-A and B successfully completed a set of communications tests in the past couple of weeks, said John Baker, programme manager for planetary SmallSats at NASA's Jet Propulsion Laboratory in the US. JPL built both MarCO CubeSats and leads the mission. "Our broadest goal was to demonstrate how low-cost CubeSat technology can be used in deep space for the first time. 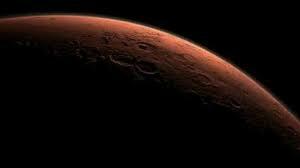 With both MarCOs on their way to Mars, we've already traveled farther than any CubeSat before them," said Baker. While MarCO-A corrected its course to Mars relatively smoothly, MarCO-B faced some unexpected challenges. Its manoeuvre was smaller due to a leaky thruster valve that engineers have been monitoring for the past several weeks. The leak creates small trajectory changes on its own. Engineers have factored in these nudges so that MarCO-B can still perform a trajectory correction manoeuvre. It will take several more weeks of tracking to refine these nudges so that MarCO-B can follow InSight on its cruise through space. "We're cautiously optimistic that MarCO-B can follow MarCO-A," said Joel Krajewski of JPL, MarCO's project manager. "But we wanted to take more time to understand the underlying issues before attempting the next course-correction maneuver," Krajewski said. Once the MarCO team has analysed data, they'll know the size of follow-on manoeuvres. Several more course corrections will be needed to reach the Red Planet.